This September, Lenovo, through its Subsidiary, Motorola Mobility, will be launching two new smartphone models, the Motorola Moto G5S Plus and the Moto Z2 Play with JBL SoundBoost 2 Moto Mod in South Africa. Named the Best Phones of 2017 by CNET, consumers will enjoy the battery life of the Motorola Moto Z2 Play while the Moto G5S Plus promises a premium device on a budget. The new models will be available in select Telkom stores nationwide. “Like the Motorola brand, Telkom is a veteran in the telecommunications industry. Both have a rich heritage of keeping the South African consumer connected through innovative products and cutting-edge technology. We are very excited to be launching these two new Motorola models at Telkom stores,” notes Patrick Halpin, Smartphone Territory Lead for South Africa, SADC & IOI at Lenovo Mobile Business Group. The Motorola brand returned to the South African cellular phone market in 2016, bringing their game-changing Moto Mods that enable users to transform their smartphones into whatever they need, whenever they need it. The South African Moto Mods Family includes a JBL SoundBoost 2 speaker so users can take the party with them and the power packs from Incipio so consumers are never out of battery. 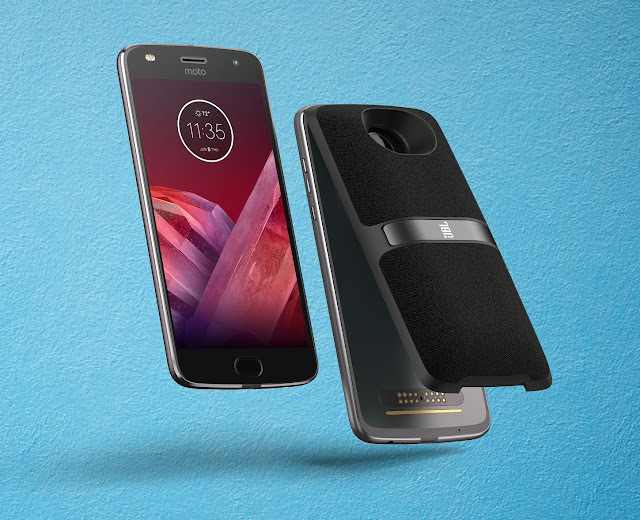 The first new Motorola model that will be available at Telkom stores from 20 September is the Motorola Moto Z2 Play, which comes with the upgraded JBL SoundBoost 2 Moto Mod, offering high quality sound in a snap. The new JBL SoundBoost 2 gives a full party’s worth of music for up to 10 hours. The built-in kickstand also provides a truly immersive audio-visual experience, all in a snap, with no pairing required. And with its water-repellant coating, a little spill or splash won’t stop the music either. The Moto Mod comes in black, and features a premium design with fabric and streamlined contours for a better feel in your hand. The app My JBL SoundBoost 2, allows users to adjust the sound to personal preferences. With a thinner, lighter design and faster performance, the second-generation Moto Z Play delivers incredible features, and enables unlimited possibilities with all-new Moto Mods. The combination of laser autofocus and dual autofocus pixel technology on the Moto Z2 Play allows users to take brighter, sharper photos, even in low light. The next generation laser autofocus has an expanded range of up to five metres, so you can focus on objects three times further in a virtually dark environment. And with the 5MP front camera and dual colour corrected flash, selfies look great, day or night. With a powerful combination of style and strength, the Motorola Moto Z2 Play has an all-metal unibody design that not only looks great, but stands up to everyday wear and tear. The 5.5” Full HD Super AMOLED display offers razor-sharp details, up to 30 hours of battery life and a Qualcomm® Snapdragon™ 2.2 GHz octa-core processor. New Moto Experiences offer an even more unique and meaningful software experience, including the Night Display feature, which automatically adjusts the phone’s screen to warmer tones at night, reducing the blue light that can disrupt sleep. Instant queries in Moto Voice will provide helpful information like weather or calendar updates, and a redesigned fingerprint reader. The second new Motorola model that will be available at Telkom stores is the Motorola Moto G5S Plus. This phone has even more top features such as dual cameras which, until now, were reserved for premium phones. Dual 13MP rear cameras, combined with special photo enhancement software, makes it easy to do more with photos. 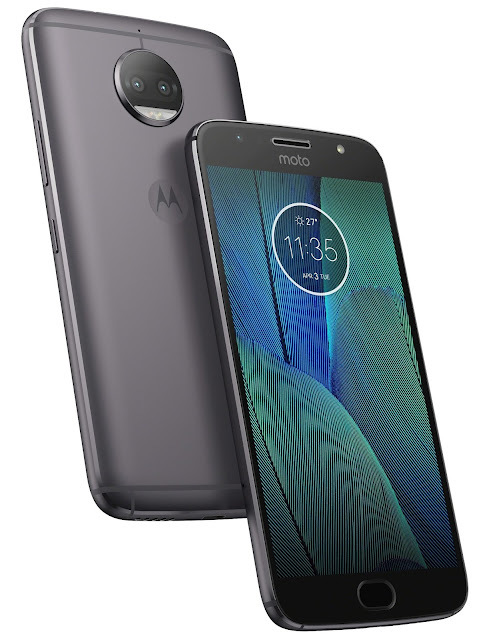 In addition, the 8MP wide-angle front camera on the Motorola Moto G5S Plus has LED flash and a new panoramic mode so users can capture even more. The phone’s 3000 mAh battery holds enough power to easily get users through their day. But if extra juice is needed, the TurboPower™ charger can provide up to six hours of battery life in just 15 minutes. The phone offers an all-metal unibody design crafted from a single piece of high-grade aluminum, so it’s not only beautiful, it’s stronger than ever. It has a 5.5” Full HD display, a blazing-fast Qualcomm® Snapdragon™ 2.0 GHz octa-core processor, powerful graphics capabilities and support for 4G LTE. The fingerprint reader on the Motorola Moto G5S Plus does it all, from unlocking your phone to making mobile payments. The phone is also easier to use, thanks to Night Display and Quick Reply, two new Moto Experiences. From 20 September 2017, the Motorola Moto G5S Plus will be available at R289 per month on a 24 months FreeMe 1 GB package. For R429 per month, the Motorola Moto Z2 Play with JBL Soundboost 2 Moto Mod bundle will be available on a 24 months FreeMe 1 GB package at select Telkom stores nationwide.